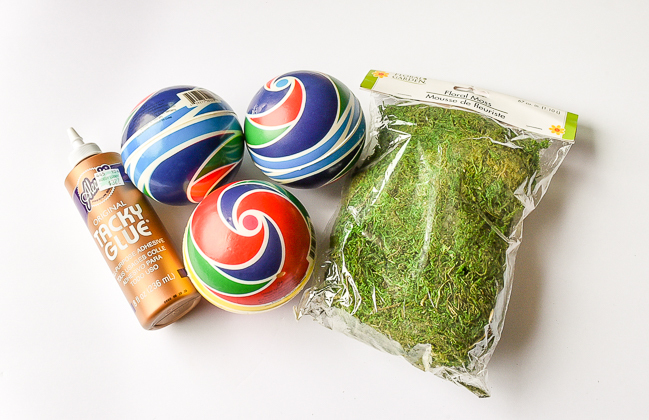 Dollar Tree has a variety of different size foam and plastic balls you can use to make these DIY moss balls, but I liked the size of the play balls. 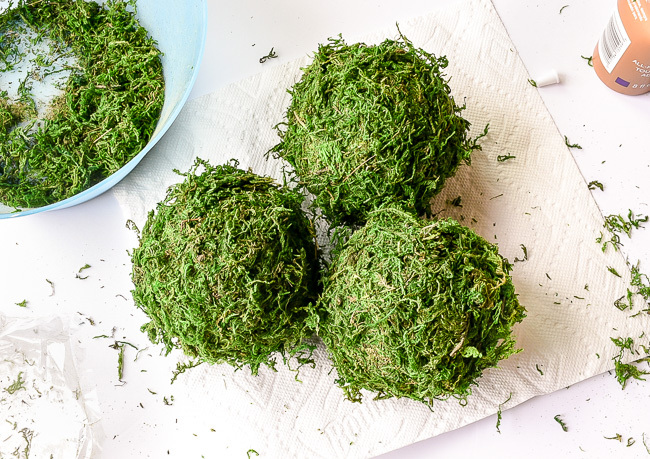 If you're wanting larger moss balls you can use the mini sports balls or if you want to make mini moss balls you can use the package of floral foam. 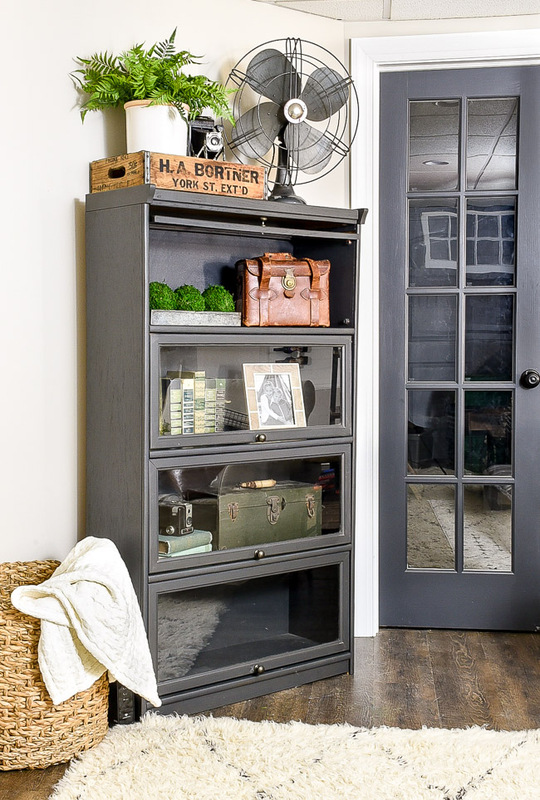 This project gets a little messy, so grab a large bowl and work close to a sink. Separate and pull apart a handful of moss (roughly enough to cover one ball) into a bowl. Using your hands, cover the entire foam ball with a good amount of tacky glue. 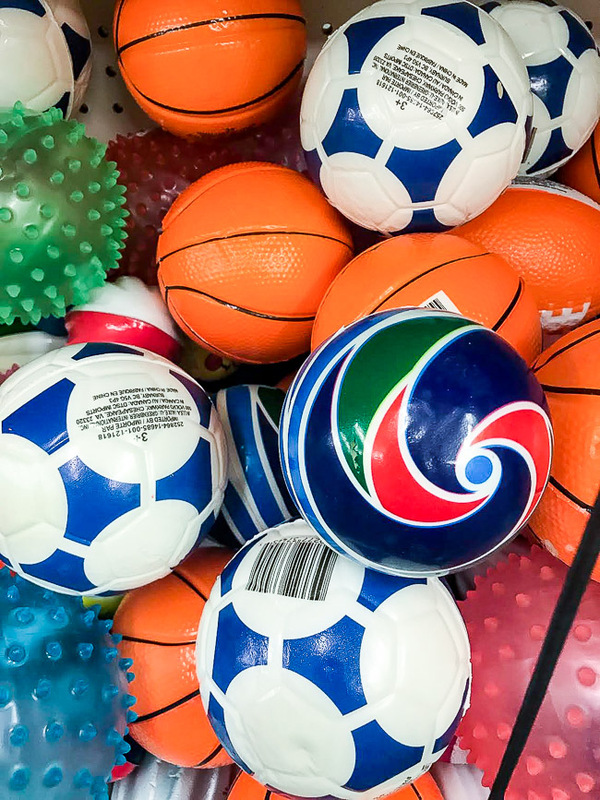 Once the ball is fully coated in glue, wash your hands before moving to the next step. I made the mistake of not washing my hands the first time and ended up with floral moss stuck all over my hands. 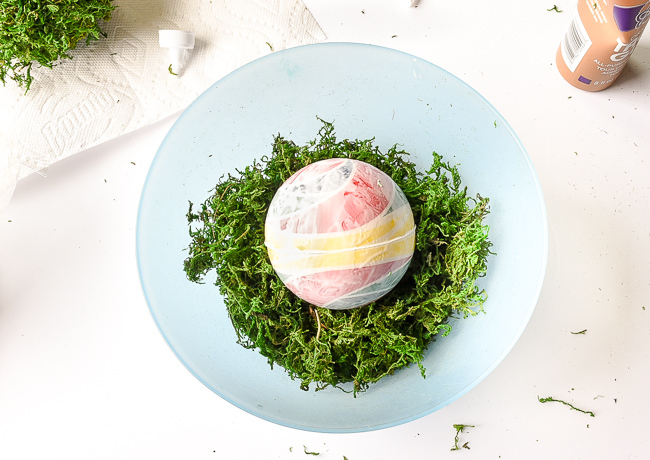 With clean hands, press the floral moss onto the foam ball. 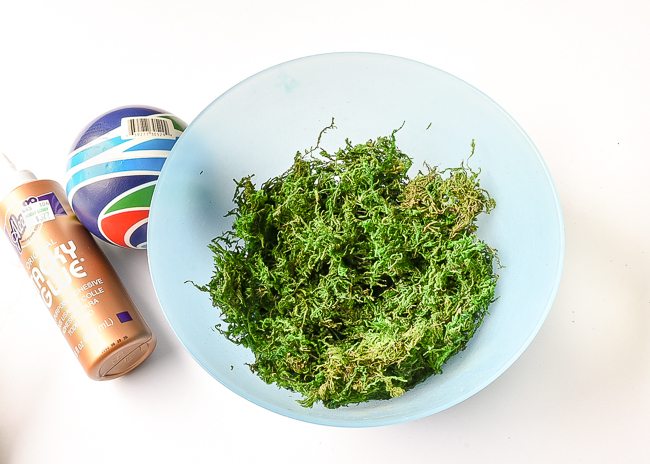 Keep forming the moss around the ball until the entire ball is coated and the moss is formed tightly around the ball. 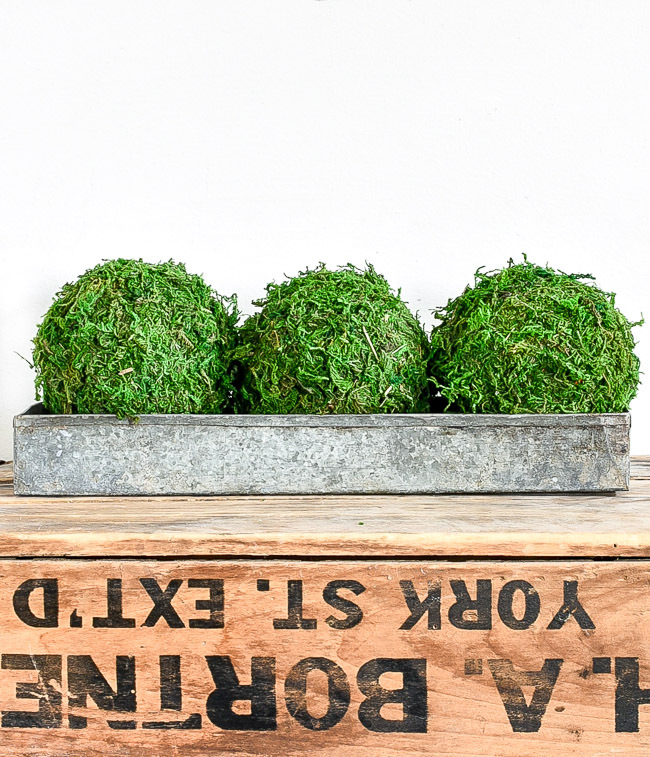 Set the decorative moss balls aside to dry. 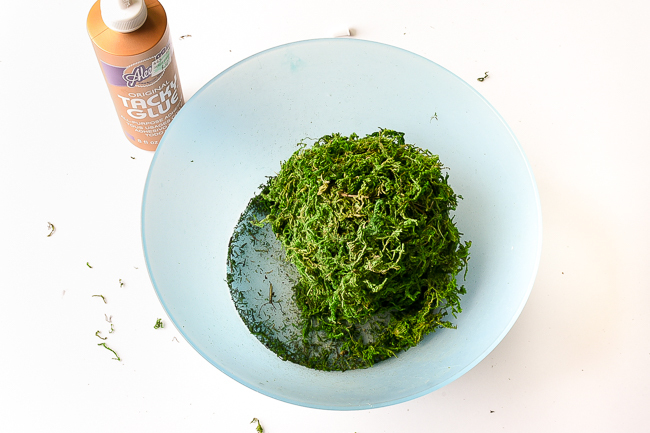 Once fully dry, use scissors to trim any loose or stray pieces of moss. 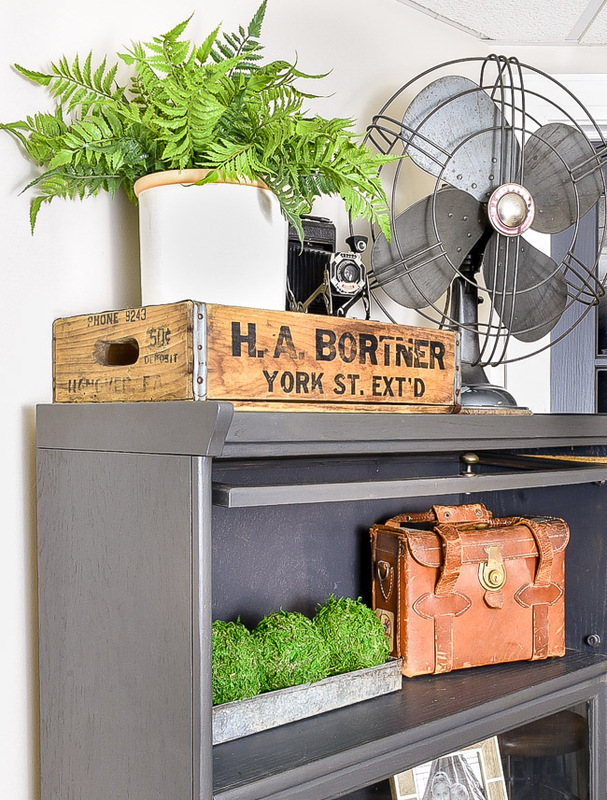 I set my moss balls in a vintage galvanized tray on my painted barrister bookcase. 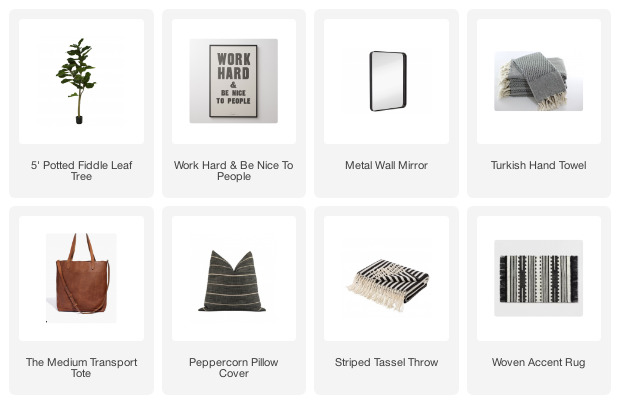 If I wasn't in the middle of packing up our first floor, I'd definitely display them in a dough bowl on my dining room table. 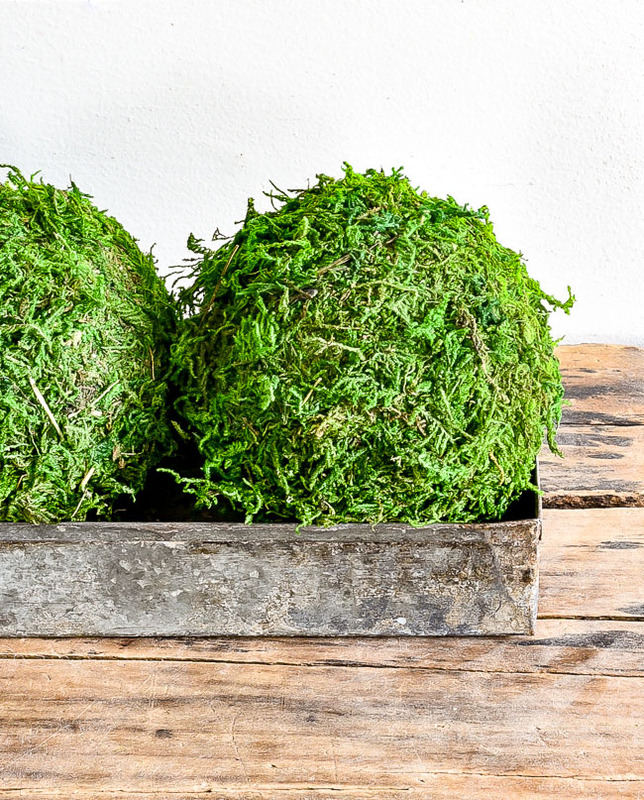 These easy DIY moss balls are a great affordable craft project and perfect versatile decor item that you can use throughout your entire home. 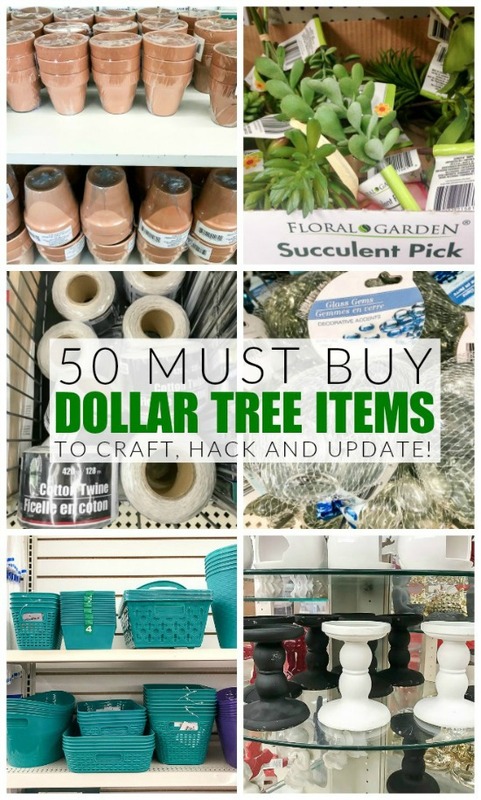 Hmmmm....I bet I could use this method, stick a couple onto a wooden dowel, and make a small topiary! Thanks!! This is awesome! 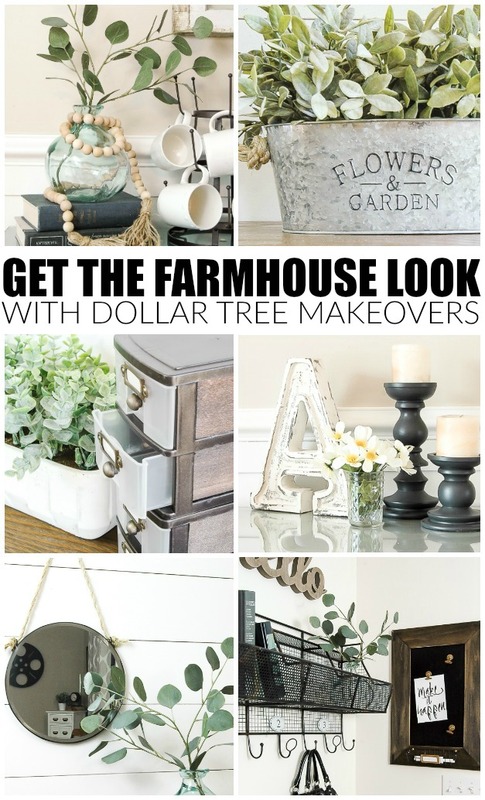 Yes, you can totally make topiaries too!